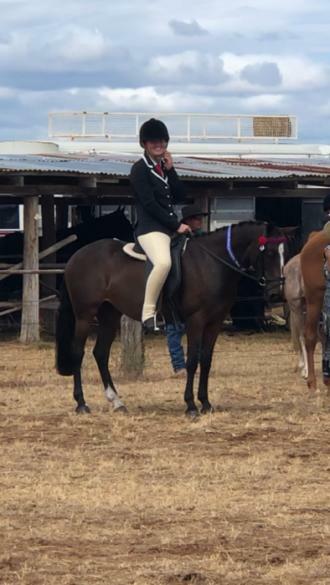 Professionally broken in at 2, Molly was then spelled and then brought back in as a lead line pony then spelled again. Commencing her education this year, she has lovely soft snaffle mouth, natural collection, more whoa then go with 3 lovely paces. 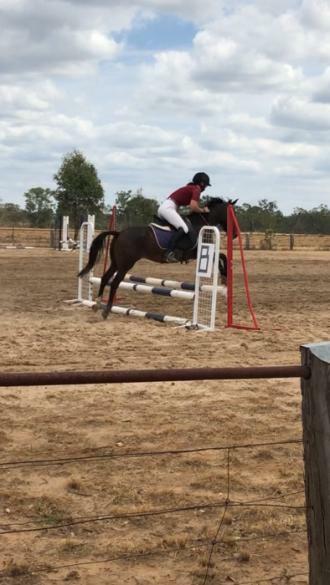 Molly has been training over jumps up to 65cm at home with ease. Has been around cattle and dogs. 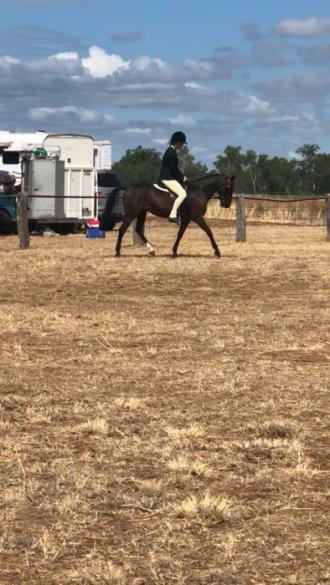 Molly would best be suited to a confident Child or Teen keen to take on a project with aims to take on the Dressage or Show Ring. Not suited to beginners/riders off the lead etc as she can be cheeky due to her age and education. Can be matey. 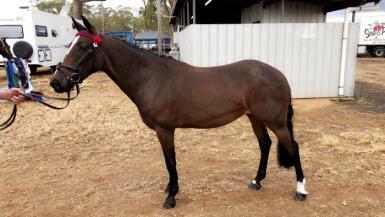 Recently attended her first show with placings in all classes in the Showjumping & Show Ring. No leases, trials or payment plans. Located 75km NW of Toowoomba Qld.